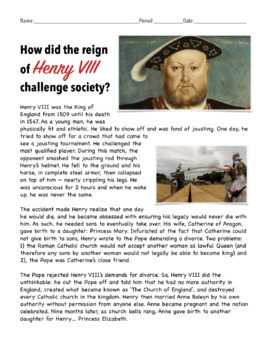 How did the reign of King Henry VIII challenge society? 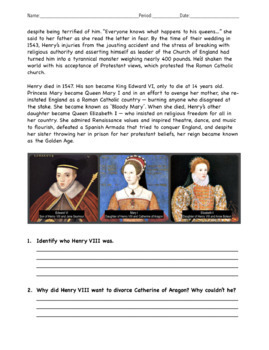 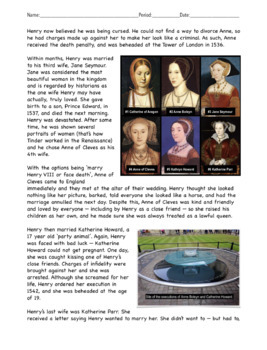 This is a handout that describes the life and times of Henry VIII, from his six marriages, to his break with the Roman Catholic Church. 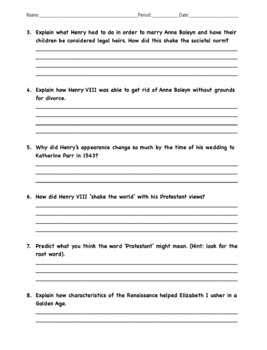 I use this as a supplement (sometimes as a homework assignment) with Lesson 8.